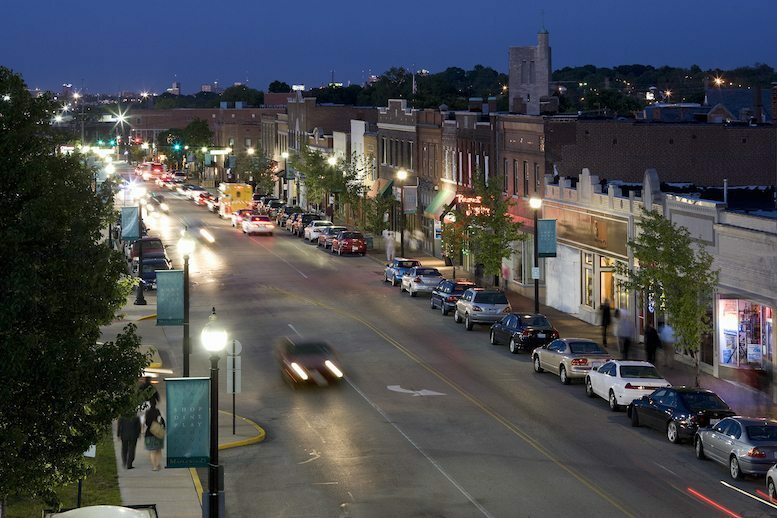 Sophisticated Clayton is home to St. Louis County government and a collection of boutiques, galleries, hotels and restaurants known throughout the region. At every corner in the bustling district, you’ll find places to eat, drink, shop and stay. The Saint Louis Art Fair, rated tops in the nation, attracts more than 150,000 people to Clayton’s streets each September. Other special events include the Taste of Clayton food festival, Gallery Nights receptions in the area’s art galleries, a seasonal farmers market, Parties in the Park cocktail gatherings each spring and summer and The Big Read literary festival in the fall. Paint Saint Louis provides professional interior painting services to residents in Clayton, MO. We can help both residential and small business owners obtain professional painting work. We can provide you with a quick free bid on your Clayton home or business along with expected material costs to aid you in the decision process of your interior painting project. Paint Saint Louis provides the following services to the Clayton area: interior wall painting, interior ceiling painting, interior baseboard painting, interior door painting, cabinet painting, handrail painting, wainscot painting, minor drywall repair, wallpaper removal and more! Whether you are updating your home, buying a new home or selling your current one we can help bring it’s beauty out. We can also help property owners with rental homes and apartment units that need a fresh coat before turnover! We are here to help you with your paint job in Clayton – just give us a call! Paint Saint Louis has provided professional interior painting services to Clayton since 2003! Maplewood is located just off the southwestern edge of St. Louis City. A hub of award-winning food purveyors & craft brewers. Meet the butcher, baker, candlestick maker and other craftspeople making their wares in-shop. Entertainment includes touring the Schlafly Bottleworks, bowling at historic Saratoga Lanes, playing pinball at Orbit Pinball Lounge, escaping from a room at Escape from St. Louis and relaxing with friendly felines at the first of its kind in STL, Mauhaus Cat Cafe & Lounge. Paint Saint Louis provides professional interior painting services to residents in Maplewood, MO. We can help both residential and small business owners obtain professional painting work. We can provide you with a quick free bid on your Maplewood home or business along with expected material costs to aid you in the decision process of your interior painting project. Paint Saint Louis provides the following services to the Maplewood area: interior wall painting, interior ceiling painting, interior baseboard painting, interior door painting, cabinet painting, handrail painting, wainscot painting, minor drywall repair, wallpaper removal and more! Whether you are updating your home, buying a new home or selling your current one we can help bring it’s beauty out. We can also help property owners with rental homes and apartment units that need a fresh coat before turnover! We are here to help you with your paint job in Maplewood – just give us a call! Paint Saint Louis has provided professional interior painting services to Maplewood since 2003! Richmond Heights is located just off the southwestern edge of St. Louis City. A hub of award-winning food purveyors & craft brewers. Meet the butcher, baker, candlestick maker and other craftspeople making their wares in-shop. Entertainment includes touring the Schlafly Bottleworks, bowling at historic Saratoga Lanes, playing pinball at Orbit Pinball Lounge, escaping from a room at Escape from St. Louis and relaxing with friendly felines at the first of its kind in STL, Mauhaus Cat Cafe & Lounge. Paint Saint Louis provides professional interior painting services to residents in Richmond Heights. We can help both residential and small business owners obtain professional painting work. We can provide you with a quick free bid on your Richmond Heights home or business along with expected material costs to aid you in the decision process of your interior painting project. Paint Saint Louis provides the following services to the Richmond Heights area: interior wall painting, interior ceiling painting, interior baseboard painting, interior door painting, cabinet painting, handrail painting, wainscot painting, minor drywall repair, wallpaper removal and more! Whether you are updating your home, buying a new home or selling your current one we can help bring it’s beauty out. We can also help property owners with rental homes and apartment units that need a fresh coat before turnover! We are here to help you with your paint job in Richmond Heights – just give us a call! Paint Saint Louis has provided professional interior painting services to Richmond Heights since 2003! Paint Saint Louis provides professional interior painting services to residents in Brentwood. We can help both residential and small business owners obtain professional painting work. We can provide you with a quick free bid on your Brentwood home or business along with expected material costs to aid you in the decision process of your interior painting project. Paint Saint Louis provides the following services to the Brentwood area: interior wall painting, interior ceiling painting, interior baseboard painting, interior door painting, cabinet painting, handrail painting, wainscot painting, minor drywall repair, wallpaper removal and more! Whether you are updating your home, buying a new home or selling your current one we can help bring it’s beauty out. We can also help property owners with rental homes and apartment units that need a fresh coat before turnover! We are here to help you with your paint job in Brentwood – just give us a call! Paint Saint Louis has provided professional interior painting services to Brentwood since 2003! Paint Saint Louis provides professional interior painting services to residents in Shrewsbury. We can help both residential and small business owners obtain professional painting work. We can provide you with a quick free bid on your Shrewsbury home or business along with expected material costs to aid you in the decision process of your interior painting project. Paint Saint Louis provides the following services to the Shrewsbury area: interior wall painting, interior ceiling painting, interior baseboard painting, interior door painting, cabinet painting, handrail painting, wainscot painting, minor drywall repair, wallpaper removal and more! Whether you are updating your home, buying a new home or selling your current one we can help bring it’s beauty out. We can also help property owners with rental homes and apartment units that need a fresh coat before turnover! We are here to help you with your paint job in Shrewsbury – just give us a call! Paint Saint Louis has provided professional interior painting services to Shrewsbury since 2003! Paint Saint Louis provides professional interior painting services to residents in Affton. We can help both residential and small business owners obtain professional painting work. We can provide you with a quick free bid on your Affton home or business along with expected material costs to aid you in the decision process of your interior painting project. Paint Saint Louis provides the following services to the Affton area: interior wall painting, interior ceiling painting, interior baseboard painting, interior door painting, cabinet painting, handrail painting, wainscot painting, minor drywall repair, wallpaper removal and more! Whether you are updating your home, buying a new home or selling your current one we can help bring it’s beauty out. We can also help property owners with rental homes and apartment units that need a fresh coat before turnover! We are here to help you with your paint job in Affton – just give us a call! Paint Saint Louis has provided professional interior painting services to Affton since 2003! Paint Saint Louis provides professional interior painting services to residents in Bella Villa. We can help both residential and small business owners obtain professional painting work. We can provide you with a quick free bid on your Bella Villa home or business along with expected material costs to aid you in the decision process of your interior painting project. Paint Saint Louis provides the following services to the Bella Villa area: interior wall painting, interior ceiling painting, interior baseboard painting, interior door painting, cabinet painting, handrail painting, wainscot painting, minor drywall repair, wallpaper removal and more! Whether you are updating your home, buying a new home or selling your current one we can help bring it’s beauty out. We can also help property owners with rental homes and apartment units that need a fresh coat before turnover! We are here to help you with your paint job in Bella Villa – just give us a call! Paint Saint Louis has provided professional interior painting services to Bella Villa since 2003!